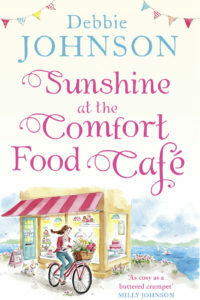 Our fourth return to the sunny Dorset coast, Sunshine at the Comfort Food Café by Debbie Johnson focuses on Willow Longville, a character we have met before in a supporting role. Working part-time in the café provides a respite for Willow, who cares for her mum Lynnie, who suffers with Alzheimer’s. It has just been the two of them since the diagnosis, with Willow’s siblings scattered far and wide and none the wiser about their mum. However, she has the help of the local community and the two of them get by just fine, even if it means Willow can’t have a relationship of her own. This was fine up until Willow was employed to clean the big house on the hill, Briarwood. An old haunt from her childhood, the house used to be run as a children’s home and her mother would give classes to the kids who lived there. It is here that she first met Tom Mulligan, a shy child who permanently stayed in his room reading books and inventing. She never expected to see him again, but it turns out that he’s the one who’s bought the old house ready for renovation – and the years have definitely been kind to his image. Willow is immediately drawn to Tom, especially as their dogs take a shine to each other from the off and they find all manner of things in common. They share an easy company which scares Willow senseless, as she has no free time to dedicate to a relationship and she is worried that Tom won’t understand how much her mum needs her. She is reluctant to ask for help from anyone else and would sooner sacrifice her own happiness than her mum’s care. 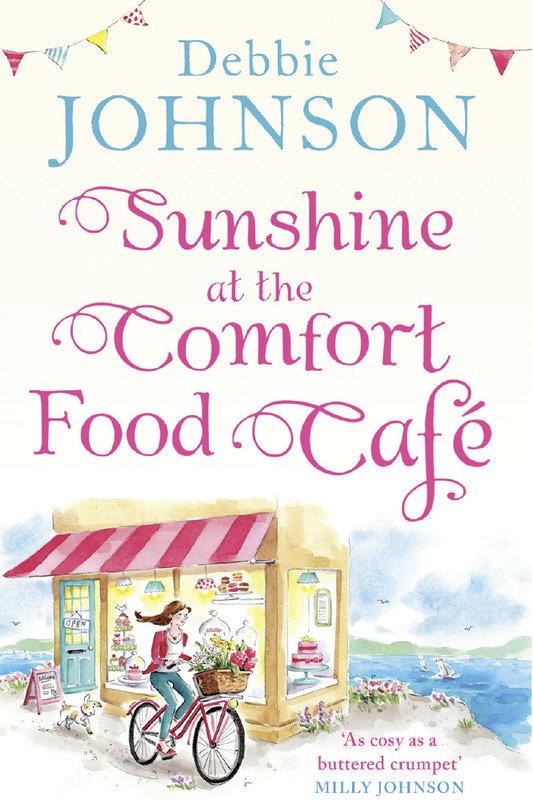 I think this was probably my favourite Comfort Food Café novel yet, as Willow had developed a rough outline of character in the background of previous books, but here is given a chance to shine on her own. There is something infectious about her that draws you in, willing her to find happiness and to take a chance on Tom. All the old faces from the other books also make an appearance, making this feel like a warm return home for the reader, even though the story will make sense without having read the previous instalments. As always with Johnson, it is the easy writing style and the ability to make characters seem like old friends that draws you in from the beginning. Willow is immediately likeable and you can sympathise with her situation, sharing in her love for her mum and laughing out loud at some of Lynnie’s most random antics. Her condition is not all doom and gloom, and we never see her as a burden to Willow, even though we know that she dreams things could be easier with Tom. Despite these difficulties, Tom never treats Willow any differently and in his own quiet way tries to help as much as he can. He might be shy at first, but being around Willow encourages him to open up and to become a part of the Budbury community. Having lost his own family so young, he knows what it’s like to hide away from the world, and it takes a lot for him to let people in and feel comfortable, but with Willow it’s instantaneous. He would be prepared to wait for her, but is she prepared to give love a chance? I loved this return to Budbury and loved the characters from the beginning, having wanted to know more about the enigmatic Willow every time she popped up in the background. She is in touch with the world of comic book references and film quotes, a quality which is well matched in Tom, and will bring a smile to your face every time you understand a subtle aside. This series goes out of its way to be more relatable each time, and I am once again longing for my return to Budbury for a fifth time. Another stellar instalment to this beachside series, this book takes two characters who each deserve a chance at happiness, reuniting them with memories from their past. Coupled with appearances from previous protagonists, this might be the most heart-warming of the Café novels yet, having become my firm favourite after only a few pages. Willow and Tom will have you desperate to devour every page (along with some delicious café cake! ), until you reach the finale and find out if Budbury will have produced another happy ending.